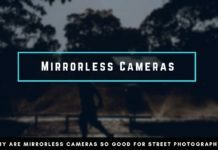 The mirrorless cameras have very well functioning automatic modes which You can use and get decent results. Therefore You can enjoy the travel or other events and don’t have to be dissatisfied because the DSLR or bigger mirrorless camera doesn’t get You the images You are looking after. 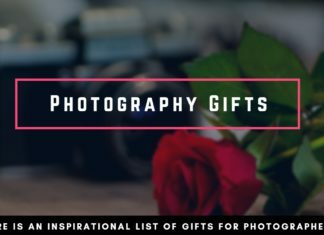 These point and shoot cameras are also a great photography gift for Your significant other, as they are not a huge investment, but can make them happy if they are just looking to get into photography. After some time, You can still figure out in which camera You might invest a little more money. So here are my recommendations for point and shoot cameras under $300. The Canon PowerShot SX720 HS does have one insane feature which is the 40x optical zoom. With this lens, You are able to reach an equivalent focal length of 960mm. Normally, those zooms are more a gimmick than a useful feature as it does pose a lot of questions. For example, it can be difficult to get a sharp picture due to the sheer zoom and You have to either use a very quick shutter speed and a high ISO or slower shutter speed and risk of getting a blurred picture. Not so with the Powershot SX720, this camera has an all improved image stabilization that allows a combination of a relatively slow shutter speed offering a better image quality by going with a lower ISO. Although the zoom has been improved from the 30x of its previous model to the current 40x, the size hasn’t been changed tremendously and the compactness of the camera has been preserved. Negatively has to be mentioned, that the camera can’t save the files in the RAW format. Instead of being able to benefit from the advantages of the RAW-files You have to live with the limitable editing of JPGEGs. The usability in low light is also not the best. At ISO 400, the noise is very noticeable and does decrease the image quality. Anything below ISO 400 will trigger the internal noise decrease effect and the pictures will appear too soft and without any sharp details. Nonetheless, the camera does still have a functioning 40x zoom, the image quality is decent in good light and for a price of under $300 the camera does very well as a travel camera that is very versatile. It is especially good for people that don’t have the chance to walk around a lot and are photographing from far away. Are You doing a trip on a boat and want to shoot some shores or the sea life from far away? Then this camera can get You exactly what You need. The speed of the camera is also very good since it uses the JPEG file format. 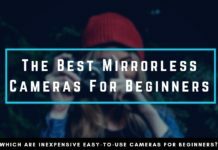 For people who are looking for a camera for the first time and don’t have any experience, the camera is also very structured and easy-to-use. Not only the Powershot series that features a long zoom has been updated. Also, their even slimmer designed Powershot series has received new models, that are packed with new features that are available for a rather low price. With the 12x zoom, You are able to get an equivalent of focal lengths of around 25mm to 300mm. This allows You to take pictures from a slightly wide-angle focus to a normal telelens. The aperture has a range from f/3.6 to f/7.0. To assist the user, the camera also has an integrated optical image stabilization system. One of the strengths of this camera is that the pictures look already well when taken. You are able to choose from different filters and effects, which is coined as the “creative mode”. Instead of having to transfer the images to Lightroom first, You can share the images directly. To do so, the camera has built-in WiFi and You can control the camera even remotely via the dedicated iOS or Android Apps. One of the positive changes compared to its predecessors is the increase in burst rate. Whereas the former model was only able to sport a mere 2.6 frames per second, the 360HS can now shoot at a rate of 7.2 frames per second. This comes especially handy if You are planning to shoot some sports, or wildlife photography. On the negative, the battery life of this camera is sub-par, which is especially disappointing since the LCD display isn’t usable via touchscreen options. The ISO is hard-limited to a value of 3200. What can be observed in other Powershot models can be a problem here too. It doesn’t work very well in low light conditions and the internal noise reduction algorithm will smooth images too much at an ISO of 3200. Apart from those little details, the Canon PowerShot ELPH 360 HS is a very reasonably priced camera. For the money You are spending, You should include a battery or just buy a complete bundle. It is great for traveling even a lot lighter than the long zoom model and does deliver good images with over 20 Megapixels in good light. 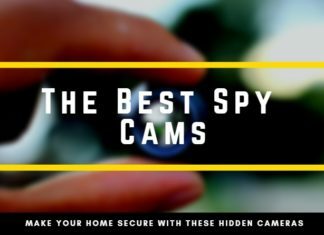 It is easy-to-use and with the pre-defined filters You can connect the camera to Your phone and share the images or videos directly. The long zoom segment might be dominated by the 40x zoom of Canon, but also Nikon has some equivalents that do a good job. With a 20x zoom, the Nikon Coolpix 7000 does a good job in keeping up with its rival. Although the specs look inferior at first, have a look at what this camera can do for You. Featuring 16 Megapixels is more than enough and does an excellent job in capturing good image quality in ideal light situations. In comparison to its predecessor, the 6900, the newer Nikon Coolpix 7000 has its focal range increased to an equivalent of 25mm to 500mm. The design of the camera has also been polished and every button that isn’t needed has been removed, which does wonders to how sleek this camera does look now. It does also help in how the camera feels and how to use it with only one hand. What is new, is also the lens, which has been completely overhauled. In comparison to its main rival of Canon, the Nikon Coolpix 7000 does perform somewhat decently in low light, which can be attributed to the lower Megapixels count and the higher possible ISO of 6400. What has been a little bit disappointing is the performance of the WiFi. Although the camera does feature a WiFi function, as well as NFC, the APP that is used to control the WiFi is very limited. To add to this, the battery life isn’t really overwhelming. Nevertheless, the camera does very well as a small inexpensive travel camera that can be taken anywhere. Where the long zoom from Canon might be a little too heavy and bulky, the Nikon Coolpix does feature a very slim and light design. Add in, that it does perform rather well in low light and You have one of the most versatile cameras that You can take everywhere. Sporting the typical Nikkor lenses, the image quality that You overall get is very decent, especially considering the low price of the camera. If You thought that the 20x zoom that Nikon offers on the Coolpix S7000 was already the end of their capabilities that they want to show You that they can be in direct competition with Canon’s superzoom. Sporting an optical 38x zoom on the Coolpix L840, Nikon wanted to create a similar experience. But how do they take care of the difficult shutter speed problems with such a zoom and how is the design of the lens? First of all, it has to be stated that the 38x zoom factor is a new record for Nikon in this budget area. Have previous models “only” had an optical zoom of around 34x, the newest extension up to 38x optical zoom, does a very good job. What is quite surprising is that they are able to offer a max aperture of f/3.0 at the low wide angle end, which is a very good job for such a complicated design. At the long end, the aperture is still reasonable with f/6.5 and does let in some more light compared to its Canon rival. To combat the camera shake, Nikon does decide for a different route. To ensure that the images will be sharp, the Coolpix L840 does have a vibration reduction. Another outstanding feature is the tiltable LCD screen, which You can use to capture the FullHD videos or photographs. One thing that is quite annoying is the purchasing of AA batteries which has to be done with the Coolpix L840. Where other cameras feature “normal” lithium batteries that can be recharged, You have to use standard and relatively heavy AA batteries. The camera is also not exactly what You would call a very small and compact camera. Therefore, it isn’t very handy and most often, it does require You to take some extra bag with You. 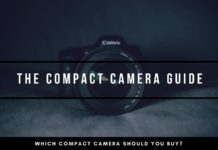 On the other hand, the bulkier size can come in more handy for You, if You are looking for a camera that is a little bit heavier and bigger than most other Point and Shoot Cameras. If You have bigger hands, the grip can also help You out and overall, the camera can work better for You. Designwise, the Coolpix L840 does also appear more like a classic DSLR which can appease Your aesthetic preferences as well. Being able in multiple colors, it can also be a stylish and highly functional fashion accessory. For some reason, the point and shoot cameras that are advertised as being reasonably priced feature zoom ranges, that surpass any comprehensible amount. The Panasonic Lumix FZ70 does the same and does even leave the Canon superzoom behind, featuring a 60x optical zoom itself. With such a zoom, You are able to get a focal range of 20mm to 1200mm equivalent. What is, even more, crazier is the max aperture of f/2.8 which is better than anything that has been built in this regards. But is the rest of the camera also as good as the impressive zoom capabilities? Although there are other cameras out there, that try to offer some superzoom qualities as well, the Lumix FZ70 has a unique feature in starting at a wide angle range of 20mm. This allows You to use the camera also in buildings and other narrow places, where You can’t utilize the longer end of the lens very well. With an entirely new and improved chipset, the noise is said to be reduced by 10% to 15% which is a key feature when using the camera and its full focal length. Where other cameras struggle to provide a fast burst rate, the Lumix FZ70 can keep up with 10 frames per second. To offer more creative freedom, the images are stored as RAW files and can be edited in Lightroom and Photoshop in full details. Like most other cameras in this segment, the Lumix FZ70 does leave some questions unanswered when shooting at higher ISO settings. Although the camera does already have some decent improvements, it is still far away from being good enough for great shots during the night or at lower light levels. The 60x optical zoom also needs some space and therefore the camera cannot really be considered as compact or small at all. Nonetheless, the camera does still hold very high value. The 60x zoom alone is already very impressive and having a wide angle range of an equivalent of 20mm is very unique. Positively can also the aperture be mentioned, ranging from f/2.8 to f/5.9. For point and shoot cameras under $300 You can also look out for the all new improved FZ80, which has 18 Megapixels, a touchscreen, and a better focusing system. 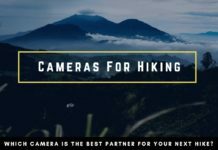 Both cameras are very good for good for hiking or traveling and can get some details with a 60x zoom that may have been left unspotted otherwise. For a point and shoot camera that is available for less than $300, the Sony WX350 does have a very light and compact body. The camera is so small, that it does fit into every pocket and isn’t very noticeable at only 137g. For a camera that offers a 20x zoom, the design of the point and shoot camera is very slim and although it has been released in 2014, the WX350 still has up-to-date technology inside. Around the same time as the WX350, the flagships of Sony’s new mirrorless camera models have been released. Some of the technical details that have been featured in the Sony A7R have also been implemented in the WX350. The BIONZ X image processor does offer a high image quality, albeit being compressed to the size of the 1/2,3″ sensor. The ISO can be used up to a value of 12800, which is really phenomenal for a camera of that size. Other than that, the 20x zooms comes with an aperture of f/3.5 to f/6.5, nothing too outstanding but not bad either. The SteadyShot image stabilization helps to use the camera on its longer end of the focal end and means that You can utilize slower shutter speeds. Similarly, the WX350 has a new feature which helps to stabilize video during the filming process. Where the WX350 comes short is when using the LCD screen from different viewing angles. The quality is not the best and it can get quite annoying when looking slightly from above or below on the screen. Another thing is missing are extra features which could improve the pictures “out-of-the-camera”. Other than the Pictures Effects Filters, the camera does not really have any other filters or editing functions that can improve the look of the photographs. The ergonomics might also not be for everyone and especially for bigger hands, the camera might be simply too small. On another note, the image quality and battery life are still great. With over 470 shots that You are getting out of a fully charged WX350, You are able to shoot for a very long time without having to think about changing the batteries. Employing the same processor technology that is also featured in Sony’s a7R does put an emphasize on the goal of creating a camera that has the ability to create great images while fitting in every pocket. The Sony W800 is one of the most inexpensive, yet high-quality Camera that You can get right now. Being priced at less than $100, You are able to buy a camera that will get better pictures than Your smartphone any day. The zoom is reasonable and does include the range from 26-130mm. Although being released 4 years ago, this point and shoot camera still has a lot of qualities that will make You a happy photographer. First of all, the resolution of the camera is quite impressive. Being able to pack more than 20 Megapixels on such a small sensor means, that the pictures that You will be getting are sharp and the image quality is excellent. Not only in image quality, but also in usability, the Sony W800 does a lot of things right. You are able to choose from 4 completely different focus methods, that You can change depending on the kind of topic You are shooting. As an additional feature, You can shoot 360° panoramas and even take videos in HD resolution. Other than most cameras though, the Sony W800 doesn’t have built-in WiFi, which means that You have to transfer the images via the “regular” cable connection. The body is also not the most top class one, featuring mostly plastic. Apart from not looking very first-class, this can be a little displeasing to have in Your hand for the whole day. In terms of raw quality and usability though, this point and shoot camera does still convince not every “hobby” photography enthusiast but also some of the more determined photographers. For a camera of that size and weight, it is also mentionable that it still features a rather high-quality flash. This will allow You to shoot in bad light situations while not being dependent on higher ISO settings, which can reduce the overall image quality. Samsung is not only known for there high-quality mobile phones. Also in the point and shoot camera segment, they were able to develop some very good models. The Samsung WB350F is one of the very solid models that the released. Featuring a 21x optical zoom and most standard features, that should be in a modern point and shoot camera, the design is also very sleek and does come in different colors. The point and shoot camera does contain the regular features. From a lens that allows You to zoom from 23mm all the way up to 483mm, to an ISO that can be set to a maximum of 3200. By including the optical image stabilization, Samsung makes sure that the images will come out sharp, even at the longer end of the 483mm zoom range. In terms of image quality, the Samsung WB350F is nothing outstanding. To be fair, it is quite standard and doesn’t surprise anyone positively anymore. Unfortunately, the internal filter that reduces the image noise is not only working strongly at higher ISO ranges but has a strong effect already in lower ISO settings. This means, that over the complete ISO range, the images will be a little too smooth for most tastes. Overall, the camera isn’t outstanding at anything, but solid overall. 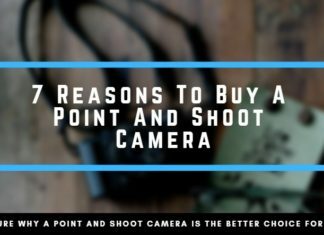 The point and shoot camera does include WiFi, a touchscreen, a 21x zoom with optical image stabilization and the design of the camera looks wonderful. Being available in multiple colors, the camera can complete a nice travel look. Did You think that a point and shoot camera for under $300 can also be used for diving or other underwater photos? The Canon PowerShot D30 is a camera that is more than just a simple camera. You are able to get decent images while being submerged in water. Being waterproof until a depth of 25m, the camera is even for more usable than simple snorkeling. Apart from that, how does the camera do overall? Of course, the strength of the Canon PowerShot D30 is, that it is fully waterproof to a depth of 25m. But the body is not only resilient when it comes to water, it can also withstand greater shocks and falls from heights up to 2m. When it comes to temperature, the camera is also operable until the freezing point of -10°C. To help You get a decent picture while being underwater, You are able to choose from different auto-modes that will adapt the settings according to its environment. The usability of the camera is rather limited and used the best underwater. 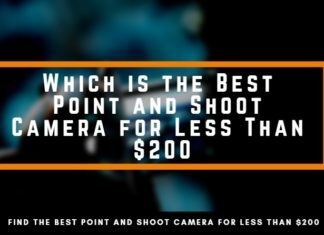 In “normal” conditions, the image quality is not up to the standard of other point and shoot cameras in this price range. The controllability underwater is also not the easiest. Better make sure to find the right settings outside and then take the camera with You. If You are planning to go on a very rough adventure and don’t want to risk losing any of Your usual equipment, the PowerShot D30 has a very sturdy design. The image quality underwater is great and is waterproof to a depth of 25m means that You can also take it with You while diving. Featuring a body that is shockproof and weather sealed, no dust will also harm this camera. If You are looking for a point and shoot camera for under $300, that is also suitable for underwater photography, then the FujiFilm XP120 brings in a little more Megapixels compared to the Canon PowerShot D30. The FujiFilm XP120 is waterproof to a depth of 20m and shockproof from a height of 1.75m. This makes it look like the XP120 is a little bit more fragile, but it still is a great value and useful for snorkeling as well as diving. A strong point of this camera is the 960K dot LCD on the back of the camera. The LCD screen is very well designed to be perfectly viewable not only in bright sunlight but also underwater. A negative point is the slow lens though. The maximum aperture of f/3.9 is not really fast and You might have some problems focusing or simply take more time. But the good thing is, that You can counter that with a higher ISO. Which unfortunately will bring You very soft images since the noise reduction is a little too strong. 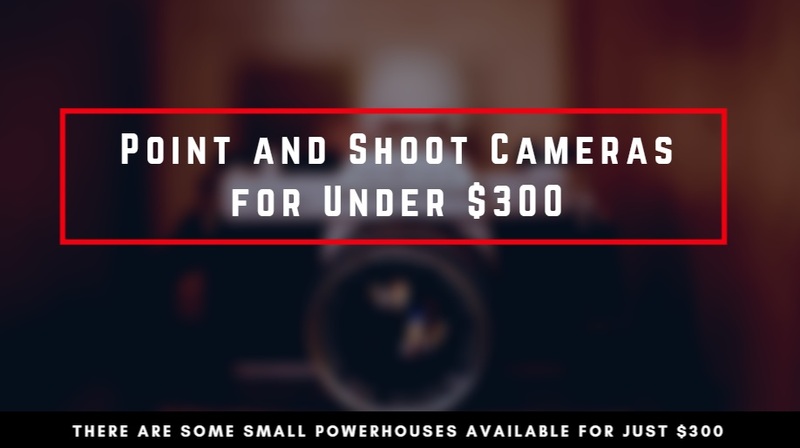 Overall, the image quality is not to underrate and with a price of a little more than $100, You have a very good price-performance product, especially if You are searching for an alternative to the Canon PowerShot D30. Each sensor has a resolution which is expressed by the amount of pixels. Each individual pixel helps to put the picture together and the more pixels or information You gather, the more details You can see in the picture. That doesn’t necessarily mean that more is always better. Digital technology has already advanced so far, that the difference between 16 Megapixels or 20 Megapixels is very marginal. Where it does make a difference is in the quality of prints. So unless You want to frame the images in a very great size, I wouldn’t care so much about the megapixels anymore. Whereas analog cameras had the film, digital point and shoot cameras have a sensor that captures the light. Digital sensors have different sizes and depending on the purpose, the sensor can be bigger or smaller. Since point and shoot cameras are built for compactness, the sensor tends to be smaller and are using the common 1/2″ sensor format. This allows for a very compact design, but those sensors usually don’t work very well in low light. One of the main goals of point and shoot cameras is to have a complete device in Your hand, that can capture high-quality images, much better than a mobile phone could do. 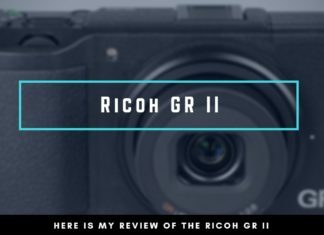 The great thing about these compact cameras is, that they deliver a very high quality and do much better than mobile phones, but You don’t need any additional lenses or bags. Being very light also doesn’t put much stress on Your body, which is good when traveling and planning to photograph for the whole day. One technical detail that has been mentioned a lot is the ISO. The ISO describes how “sensitive” the sensor is and the more sensitive the sensor is, the brighter the picture will be. A greater sensitivity also comes with more noise and reduces the image quality, therefore it is best to use the point and shoot camera at an ISO of 100. You might also ask Yourself where these cameras are good to use and what they are made for. 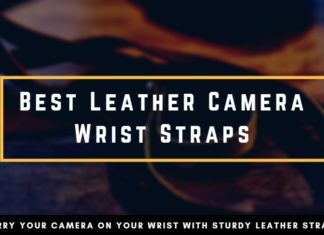 Well, there are a lot of purposes for these cameras and where they are used as the ideal camera. 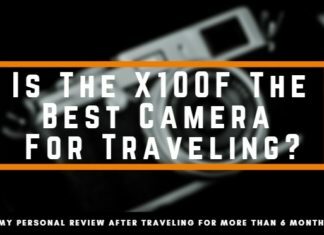 First and foremost, they are good as a travel camera. Let’s say You just booked your flight and are very eager to arrive at Your dream destination, but want to share the impressions with Your friends, then a light point and shoot camera is the ideal purchase. It is light, easy-to-use and doesn’t attack Your travel budget too much. Yet, the images look a lot better than with a simple mobile phone. Are You already an ambitious photographer and out for an adventure? Then You don’t have to risk Your most precious and expensive gear anymore and for the craziest places, it is a lot better to simply go for a $300 camera which isn’t a huge financial investment. Or Do You just want to try out some photography without investing a lot of money? 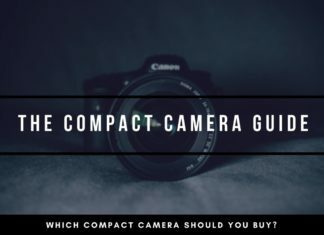 Then these point and shoot cameras for under $300 can teach You the basics of photography and You will learn which area You want to specialize in. This helps You to avoid any high costs that You could have while going for an expensive starter camera. With these little point and shoot cameras, You are already able to learn the exposure triangle and most of the cameras also support the RAW file system. This means, that You are able to import these pictures into Lightroom or Photoshop and can edit them like a professional. Of Course, there are better cameras out there that can deliver pictures, but also cost a lot more. 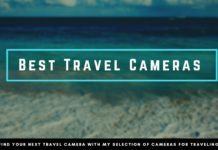 Overall, the point and shoot cameras are good, when it comes to snapshots while traveling or other quick photography genres, where You want to have a small little camera that can get You the results quickly. However, these compact cameras lack in the real “feel” of being a photographer. For me, they are missing a viewfinder and the cameras might be a little too small for some hands. Sometimes, it just feels better to have a little heavier camera in Your hands. While being really good in ideal light conditions, these small point and shoot cameras are suffering very early, when the light isn’t perfect anymore. Even just small adjustments in the ISO will have a very negative effect. The details are being smoothed out and don’t look really sharp anymore. With a little bit more money, You can also get a camera that allows You to change the lenses. This gives You more flexibility and the optimal focal length for every situation. On the other hand, that means that You have to carry more equipment and weight, which can have a detrimental effect on Your Goals. Buy one of these point and shoot cameras if You are just searching for a little helper to get You some travel images, or if You want to start out in photography with a very tight budget. If You are a photographer who already has some great cameras and lenses, then a point and shoot camera can be a good alternative in rough weather conditions, where You don’t want to put Your more expensive gear out. While the image quality in good light conditions is already very respectable, the cameras have their problems in low light environments. 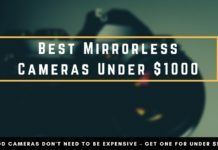 If You are in need of a camera and plan to photograph in the evening, or indoor a lot, then better go for another mirrorless camera for under $1000. Some of the cameras might also be a few years, but that doesn’t mean that they are old-fashioned by any means. 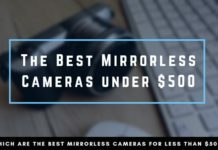 They may have been one of the more top-notch quality cameras out there at the release date and now with new camera models being released, their price just happened to drop below $300. Anyway, I wish You to enjoy those powerful small little helpers and to enjoy photography as much as I do.